This weekend, we’re heading to Newport Beach for a wedding. The dress code is black tie optional, so I decided to have a little fun and picked up this bright pink maxi dress from Ruche. It’s light-weight, simple, and easy to dress up or down with the right accessories. 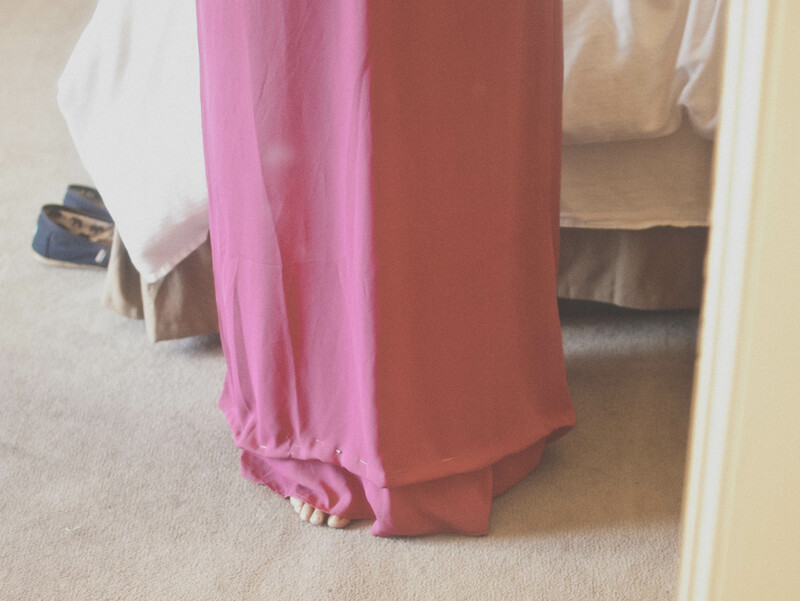 Not being very tall, maxi dresses are usually much too long and this one was no exception. 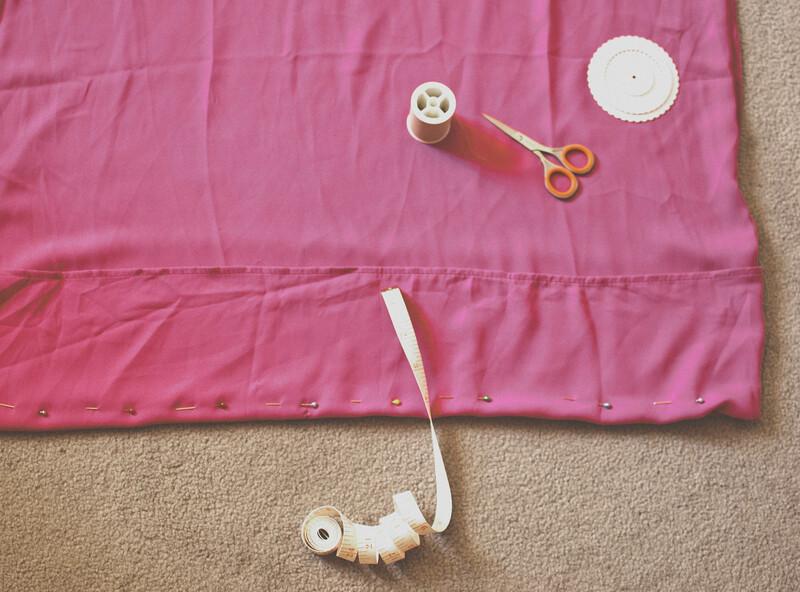 Getting the hem professionally altered seemed silly considering how affordable the dress was, so I decided to tackle this one by hand. 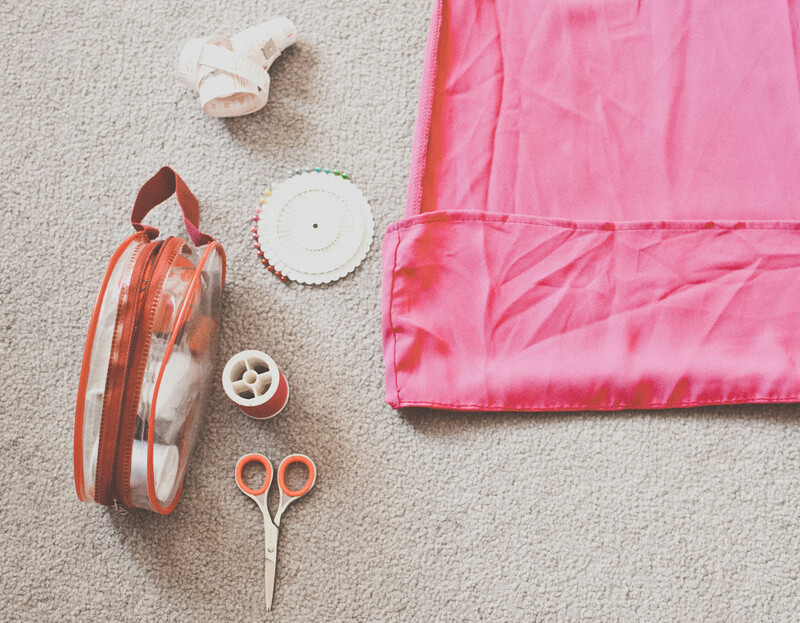 I won’t go into too much detail about how to stitch a basic hem since there are lots of amazing tutorials online. 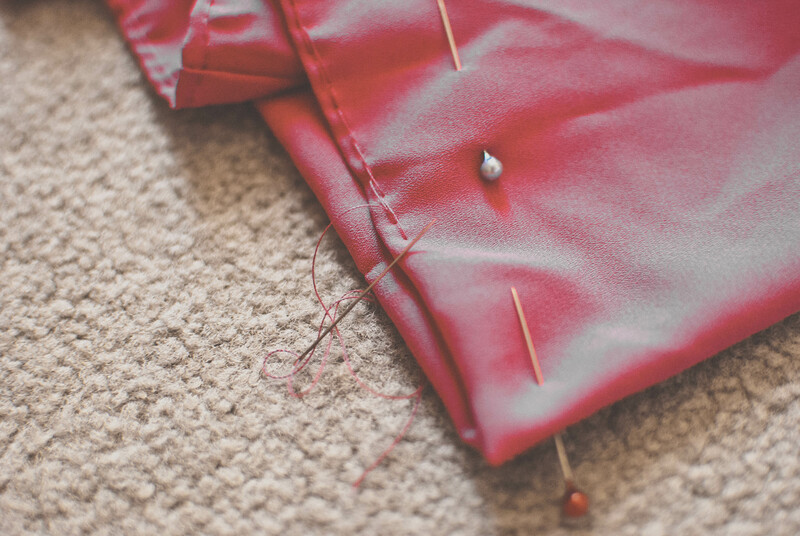 I used a simple backstitch, and was careful to use straight pins and a measuring tape to ensure a consistent length all the way around the bottom. 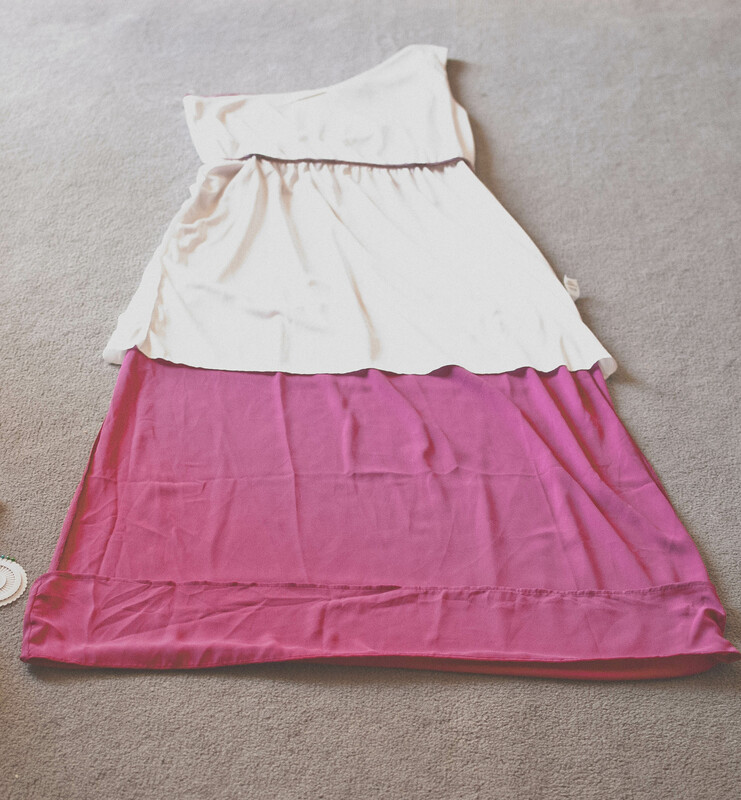 All together it took about an hour to do and now the dress is the perfect length. I have a few other dresses I need to take in and am thinking of getting a small sewing machine. 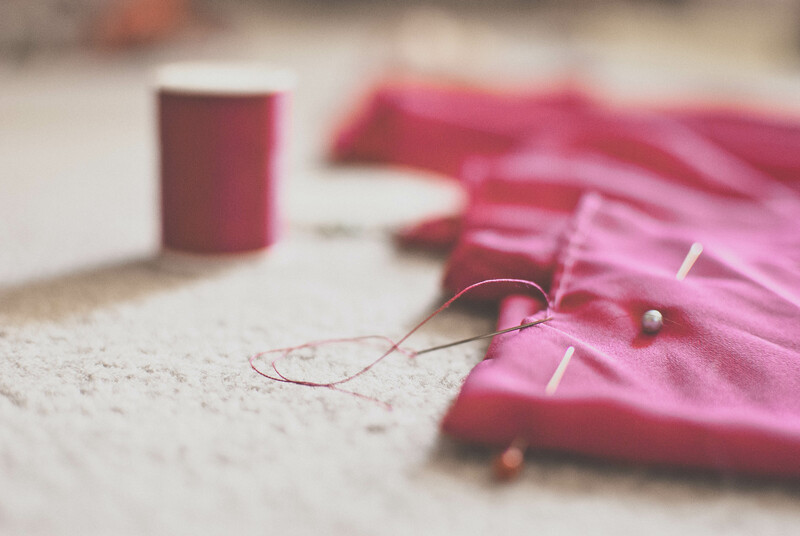 If you are interested in altering your own clothes, I love Extra Petite‘s tutorials. Here are a few of my favorites one / two / three / four.